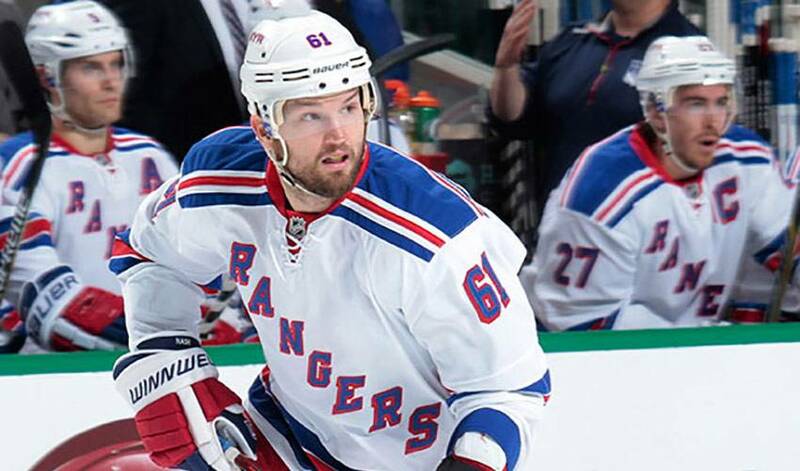 In over 800-plus NHL games, Rick Nash has certainly had his share of on-ice big moments. As incredible as the on-ice moments have been though, he’s certainly had some pretty special moments off the ice, too. Recently, February 2, 2015 was a night to remember in a number of ways for one of hockey’s top scorers. In front of an appreciative home crowd on, Nash scored twice, a short-handed tally that knotted the game at 1-1, and an empty-netter in a 6-3 New York Rangers win. The goals were No. 30 and 31 on the campaign for Nash, marking the eighth time in his career that he reached the 30-goal plateau, and putting him in some pretty impressive company. Only Jarome Iginla and Alexander Ovechkin, who did it on 10 occasions, along with Ilya Kovalchuk (nine times), have more 30-goal campaigns since 2002-03. Not bad for a seasoned veteran, right? Nash, who lit the lamp a career-best 41 times in 2003-04, points to his Rangers teammates as the source for his sensational season. While his focus very much remains on the final stages of the regular season, the former No.1 overall pick and his teammates are seeking to take things one step further in 2014-15. Last year, the Rangers faced-off against the Los Angeles Kings in the Stanley Cup final, but lost to their Western counterpart in five games. The 6’4”, 220-pounder would love to add a Cup to his sterling resume, one that includes a Rocket Richard Trophy (league goal-scoring champion), a gold and two silver medals for Canada at the World Championships, along with two gold medals at the Winter Olympics, in 2010 and 2014. And what matters most away from the game? It’s the perfect career-life balance for a player enjoying good times, on and off the ice.